Keep your tyres in check to help you stay safe on motorways – that is the message today from the Institute of Advanced Motorists. P – Performance. You can monitor the state of your tyres through observation of the performance of your vehicle; grip, handling and fuel economy will all be improved with correct tyre care. · A – Air pressure. 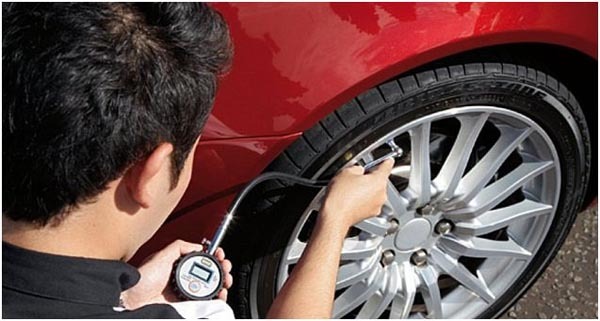 It is essential that you check your tyre pressures on a regular basis for maximum performance. Low tyre pressure can cause increased fuel consumption as well as making them more susceptible to damage. · C – Condition. Inspect tyres for any cuts, bulges, uneven wear or objects embedded in the tread. · T – Tread depth. Monitoring your tyres’ tread is essential for safety, particularly on wet roads. Check that your tread depth is not below the legal minimum of 1.6mm, although it is worth considering getting them replaced if they are below 3mm.